Larry and his wife Leisha lives in Georgia with their youngest son Jordan. Their eldest Larry lives in Mississippi. Larry works in healthcare and is a graduate of Liberty University with a degree in Religious Studies. Leisha works in the Mental Health Field as a Licensed Professional Counselor. She is a graduate of Argosy University. We enjoy staying active by working out, spending time with family, traveling, and learning how to do life according to God’s word. 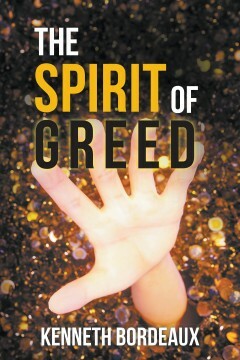 Just when you thought you understood everything you need to know about the subject of Greed, this author, Kenneth G. Bordeaux expounds on this phenomena in his newly released book “The Spirit of Greed.” Greed comes in many faces and its aftermath can be very destructive in and around our lives if we are not aware of it. The problem with Greed is that many have been taught to only look for it when it comes to money. Kenneth elucidates on Greed as a spirit, its origin, how it creeps in our lives, relationships, marriage, parenting, business, neighbors, music, government and politics. Kenneth’s book could not have been better timed for the world in which we live in today. 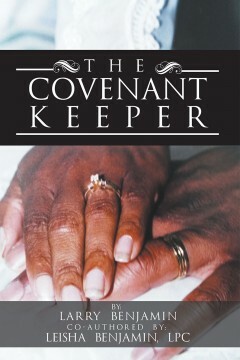 Kenneth G. Bordeaux is an inspiring author and speaker who has touch many lives across the nation and overseas. His books have reached men and women from the lowest stature to those who have served in the highest office, including former President Barrack Obama and Retired General Colin Powell. Kenneth served nearly 7 years in United States Air Force that included two special duty assignments working in Pennsylvania for a subsidiary unit to the Joint Chiefs of Staff and in the District of Washington, DC as a Supervisor for the United States Air Force Presidential Honor Guard. He effectively uses God’s Word to teach others the principles of the Kingdom.